You just got your passport ready, flights booked and itinerary in place ... But what are you missing in your suitcase? Well... We've got you covered with the top 5 tropical getaway essentials. From custom Hawaiian swimsuits to hydrating hair masks, you are more than ready to escape & soak up the sun this summer. Roam is not just a swimwear company, it’s an adventure. It’s a result of many stumbled upon beaches & countless daydreams of tropical breezes accompanied by crystal clear water. Born on the cool southern coasts of California and finding a new home in the beautiful islands of Hawaii, their swimwear is meant to be packed away in a travel bag, ready for the next moment of W A N D E R L U S T.
Every piece is reversible, non padded, and virtually seamless for maximum comfort. And... they have cheeky cut bottoms, so you can get rid of those obnoxious booty tan lines. Made in Oahu and inspired by exotic countries, they want their mermaids to stay passionate, stay inspired and stay salty. So, put down the map, and get wonderfully lost. Take a tropical time out with this Australian hydrating hair mask. You may love the salt water & sun, but your hair does not. Revitalize the dryness and wear that comes from long vacations. This oil will leave your hair feeling soft and easy to manage. Ideal for those warm summer nights by the ocean. And a major bonus: it's 100% natural and vegan friendly. i-phone photos anymore? Mix it up with instant polaroids. 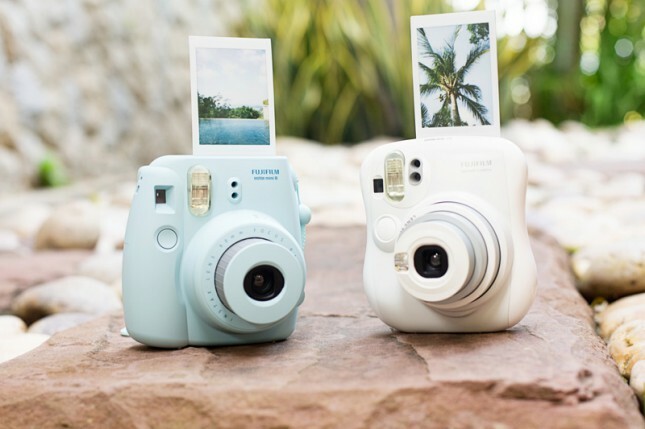 The Instax Mini 25 is perfect for on-the-go trips because it's small enough to fit inside your purse. Glue the photos in your journal or send to loved ones at home! An instant go-to for bikini babes everywhere, Keliki features day-to-night beach-to-bonfire style essentials in colorful custom prints. Inspired by the beauty of the Hawaiian Islands, you sure will be ready to take on the sunshine! You can't go back home before you have beautiful bronzed skin. Infused with cocoa seed butter, banana fruit & carrot root extract, plus coconut oil - this tanning lotion smells as good as it feels going on. So put your toes in the san, open up a new book & get to tanning! To finish it off, don't forget to throw on some fashionable glasses and protect those eyes. The bright colored Aviator lenses will go great with your itty bitty bikini. Your hair, skin and body will be thanking you after you treat them to these goodies. Now get on that plane! It's vacation time, darling.